If you’ve been hit by Panda or Penguin you’ll certainly know about it. I don’t know anyone in internet marketing who hasn’t been hit to some extent. However slowly the mist is fading and the reality of how to repair the damage is becoming clearer. Unfortunately for anyone who has a successful site which has been actively promoted over the years it’s probably going to take a while to fix. For years many of us have been building links to our websites with a targeted anchor text. We did it because it worked, brought us traffic and customers however Google never did like it and classed it as gaming the system. There’s no doubt that the dangerous one is targeted keywords – to be honest I’d keep the percentages lower than that and always vary them. If you have an important links use your keywords in them and vary all the others. The other thing that is important is that there seems to be some level of links where the Penguin changes kick off. So if you have a newer site it may seem to be ok but the filter might hit you at any point. Check the percentages of your links you can use services like SEOMoz or Market Samurai now has a anchor text analysis module built in too. The ratio seems to operate on a per domain basis – for example if you have 1000 links from one site with duplicate anchor text then only one will count for the assessment. If you are affected then start building ordinary links to fix your ratios. You can rescue sites that have been affected however it obviously can be hard work. This site itself was previously affected due to over optimization of the anchor text – “SEO marketing”, currently it’s back to page one for that term after being kicked out of top 100. There’s no doubt that it is usually a smart move to outsource your search marketing, but only if you choose a solid and reliable SEO company. Remember there is often a huge difference to what you read in the sales letter and the reality.But if you want to make the most of your website and bring in that prized search engine traffic then you must choose the right firm. It can be a bit confusing though so here’s a few pointers to help you in your search. Read and absorb the following tips on making a wise choice for your SEO company. But very importantly first read this brief article about what Google recommends you look for in an SEO company. You could find a company that will merit an initial email because you have seen first hand that they can get some sites ranked highly. Since they have testimonials on their site, they should have links in the signatures. Do not forget to just Google the name of the person or the business you are interested in, and see if there is anything on the net about them. When it comes to backlinking, that is perhaps one of the most important concerns you will have. Getting the right backlinks is an important part of SEO, without which it’s not possible to rank your site. If you have no knowledge about backlinks, then it is in your best interest to try to learn something before buying services. The backlinks should also be relevant to your niche, and make sure they provide you with the sources where your backlinks have been placed. A little bit of knowledge really can save you from doing business with the wrong people. Ask about how they intend to achieve your rankings, this is a great way to assess the depth of their knowledge. Make sure that they are promoting your web sites in a solid and professional way – it shouldn’t all be about one method. Check to make sure that they’re leveraging things like social media as well – social bookmarking can be a very powerful SEO tool. It makes sense to check the search engine ranking of the company that you’re trying to hire for SEO. You never know what you will uncover if you just do a little digging on your own. If they are ranking on the first page then it’s a good deal. So then just see where they are in the SERPS, and see if that tells you anything in particular. You can find all kinds of people in business, as you know, so you must do your own diligence, here. Search for comment online using their company name, if there are reviews follow them up. It’s amazing what background information you can find with a quick search so take the time before you dive in. You have to do a number of things to ensure that you are hiring the right SEO company. Since you will be a paying customer, you want the results you rightfully deserve. As you know much better now, it does make a huge difference who you choose to do your optimization. This issue of SEO is so important to your success that you have to be stubborn about finding the best you can afford. But don’t worry if you find out that the costs are too large, get yourself to a decent SEO Guide site and start learning – it’s an extensive subject which is constantly changing but it’s not difficult. There’s no doubt a good SEO company is never a waste of time, but the ultimate goal is of course to increase sales. Make sure that is your primary focus, some companies try and value their success on achieving rankings for a particular phrase, or something like increasing page rank. Remember it’s relatively simple to increase your companies page rank and you can certainly do itself – there’s very little guarantee of increased traffic though. Affiliate marketing through your blog doesn’t have to be hard. The best part is that if you do it correctly you have the potential to make some real money. If you look around a little bit, though, you’ll see that lots of bloggers are struggling to run affiliate programs on their blogs. Why can’t they find the success they crave? There are all sorts of reasons that affiliate marketing doesn’t work for some people. In order to truly make it work on your blog, however, there’s one thing you need to do: focus. In this article we are going to teach you a few simple but easily applicable tips that should help you get as much as possible from your affiliate marketing efforts. One of the cool things about online marketing is that there is so much to choose from in the way of promotional activities. The beauty is many are not glamorous by any means, and some are so simple as to be deceptive. One such simple way is to add more value to the affiliate product you’re promoting. What some smart affiliate marketers do is offer a really great bonus or more than one for the purchase. Just see to it that your bonus is good enough. All of the products that you link through your blog need to be of the highest quality. You shouldn’t compromise on quality because that will give your readers a bad impression of you. This is going to make it difficult for your readers to trust you and that will, in turn, cause your earnings to tank. Build a reputation for yourself to prove that you are worth it. The last thing that you want is for your readers to think badly of you or what you’re recommending to them. Even if you do make some sales and earn some commissions, if your readers aren’t happy with you can those commissions really be worth it? You need to try to serve only the highest quality products so that you can make sure that you are getting only the highest quality results. If you want to stay in business, then just be straight in your marketing because that is what helps build trust. There are compliance laws for US-based IM affiliates, and that just means you need to post certain information attesting you are an affiliate marketer. By being transparent with your readers, you’ll be able to give your readers a reason to trust you. Naturally you always want to build trust, anyway. Once you are all set-up with the right information and disclosures, then you are fine to proceed. All of the things you do to help your blog earn more money are important. Growing your affiliate commissions through your blog is not rocket science. As you can see from reading this, all you need to do is set your mind to it. Plenty of affiliate marketers have leveraged blogging to raise their revenues. There’s no reason you can’t do the same, right? All you need to do is make sure your approach is serious. Focus on delivering quality products to your readers. Don’t just offer value with your content, offer value with the products you want them to buy. In short, care for your readers and point them to solutions that work, and in process, go make some money. Ever since I started in SEO some years ago, lot of the more aggressive SEO consultants have proclaimed the importance of maintaining a consistent anchor text. So for instance if you wanted to rank for ‘fluffy white pillows” – you would endeavor to build as many links back to your site as possible with the anchor text ‘fluffy white pillows’ and nothing else. Now there’s no doubt that this method worked although I’ve always had a bad feeling about it. Let’s be honest if you’re looking at building natural inbound links to your site, then they wouldn’t all have the identical anchor text would they? No of course not they would come with all sorts of anchors – press here, here, click this, check this out etc, etc. 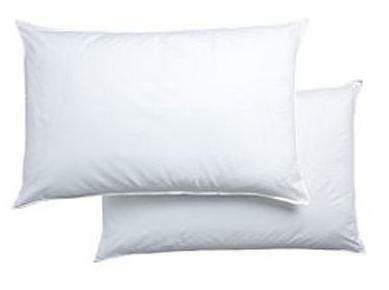 Of course you would get some with ‘fluffy white pillows’ but nowhere near hundred percent. Well with the latest Panda updates it looks like Google is cracking down on this – there are loads of reports of sites plummeting down the SERPs due to having near 100% identical anchor texts. I have been varying my anchor texts for quite a while now but many of my pages with the duplicate problem tanked quite dramatically. The new algorithm clearly took this into account and if you had pages ranking without a variety of anchor text links then you’ll likely have the same problem. Fortunately this particular SEO problem seems reasonably easy to fix as long as you don’t have too many links. 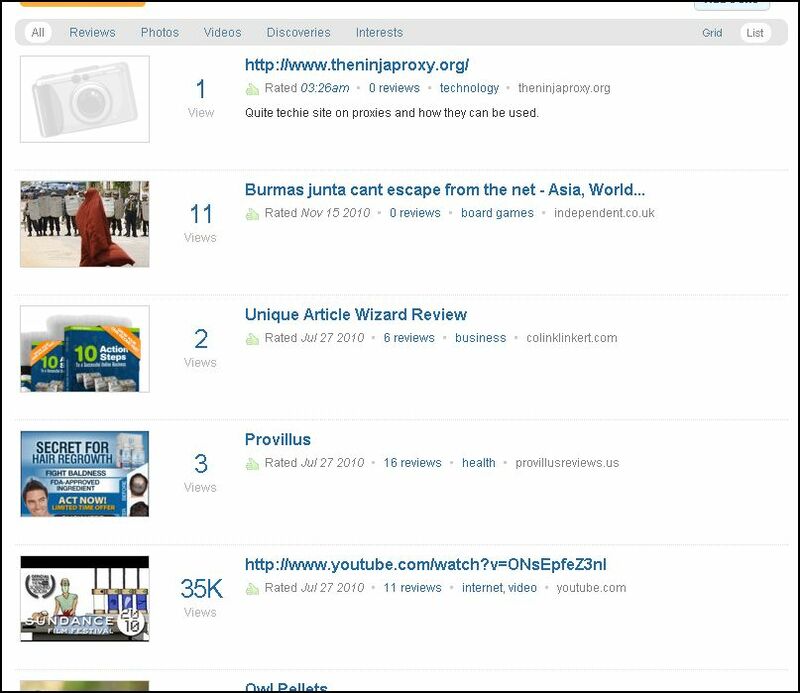 Simply start building up a more natural linking profile, write some articles and build ‘click here links’ or ones with just your bare URL. It seems to be that when you start reducing from that high percentage duplicate anchor penalty your rankings can come back fairly easily. It’s worked on the two sites I’ve tried it on so far !! Of course needless to say this is also the case with all on-page SEO optimising as well, we know that if you over use your keyword on a page or highlight fluffy white pillows in bold every three lines whilst adding it in to every title then you’re unlikely to rank at all. It’s always about making it look like you have no knowledge of SEO techniques in order to rank highly. But the more that Google tweaks it’s algorithm to look for these rather obvious signs then the harder we have to try to look natural!! So remember if you’re not already doing so much sure you vary that anchor text. Local SEO has become a very popular marketing tactic because of the response it provides to business owners. Given below are a few local SEO tips that can help you along the way. The best way to start out with local SEO is to imagine that you are one of your prospects using a search engine. 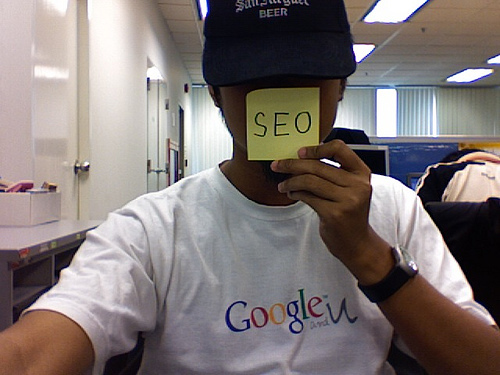 You need to get into their shoes to truly understand the essence of SEO. The trick is to imagine that you were someone doing a search engine query for a product you are marketing, and consider what words you would most likely search for. Let’s say that you have a store that exclusively sells golf accessories. Many people search for the term “golf,” but this doesn’t describe what you sell, as it includes too many things If someone does a search for “golf courses,” they are not looking for what you are selling either. Someone who enters “golf accessories,” though, is a likely customer for your store, so this is the kind of keyword to be focusing on. There are many good keyword that can create sales but are not quite as well known, and these are usually ignored by business owners looking for local traffic. They tend to target the same keywords everyone else is trying to rank for, the very top ones with the most traffic. You have to learn how to think like a customer because this is exactly what helps you in the long term. Your ability to find targeted keywords will improve with practice, and you’ll find more customers and you will eventually be able to rank for a variety of relevant keywords. Most of the local websites out there have no problem with business owners asking clients and customers to post reviews (Yelp is one of these sites). Since this is an allowable practice and your local SEO can benefit from it why not start doing it? Make sure you let your clients know about this in as many ways as you possibly can. You need to say something like “It would be nice if you would take a moment to review my business on this local website.” Even though you won’t be able to control the content and you cannot ask for them to be favorable or harsh, they will add credibility and make you look more reliable to your potential clients. No matter what else you try to do, make sure you use this one tip because it has the potential to help you grow your business by leaps and bounds. Another tip to remember is that you must have your address included on all your site’s pages. This always impresses the search engines and they’ll rank you higher. What does this include? You’ll need your business address, your telephone number and you’ll always want to make sure to list your zip code on every page your site has. This will reveal that you’re going after local search and that’s when your job becomes simple. In conclusion: local search engine optimization requires more work from you but it pays off later on when you are better able to reach your target market. It’s just one strand of SEO marketing but when it’s done right can be one of the most effective, plus you get the chance to help real businesses local to you succeed. I was speaking to a friend of mine last week, he’d had some bad luck and was looking for work. He was interested in the fact that I always seemed to have plenty of money and what was I doing – then I dropped the phrase of SEO in the conversation. To those of us who make our living online it’s a very obvious phrase, Search Engine Optimisation is a skill that lies at the heart of almost all internet marketers success. The simple reason is that it offers the chance to bring specific visitors, seeking specific information to our websites. SEO is at the core of bringing me customers to my websites which ultimately earn me money. But it got me thinking, SEO isn’t difficult – as you can see by the many Internet marketers making thousands online – you don’t really need to be that clever to get behind what works and what doesn’t. In fact I often suspect you can be too clever in SEO, by over analysing and not concentrating on the basics. I don’t think I can think of another skill that you can sit down and learn in a few weeks that can potentially become anything from a few extra bucks in your purse or wallet to a multi million pound business very quickly. But honestly SEO does have that potential, certainly few reach the million pound level ( I haven’t yet) and indeed many give up, but millions make their living online now. When you consider the investment in time compared to getting a college degree, then the rewards are quite impressive. So if you land up on this page, if your fed up with your job or worse have just lost it – then start studying SEO it could be the best move you ever make. Don’t buy products, course or software at the beginning though – just use a search engine and read – everything you need is already online – if you learn the concepts properly you’ll think of ways to implement them yourself. SEO could be the key to a great new life, career or perhaps just a hobby – I can guarantee it has the potential to be life changing though, because it has changed mine. As an Internet marketer, it’s your job to keep pushing the limits and try out new ways to promote your product online. There are so many diverse marketing methods, that have been around for quite a while, that remain untouched even though they work great. Article marketing is one such method that gives you great returns for the time and effort you put into it. There are so many incredible and interesting internet marketing methods, but article marketing is an old standby that retains one-of-kind qualities. It’s also effective being used combined with other traditional strategies like SEO marketing and utilising the social networking sites. The reason is because it’s free to start with and doesn’t require a lot of resources. Your risk is your time, and the potential ROI can be most impressive. The one thing about this strategy is that it’s like planting something because it will require some patience to see the results you want. So we’ll be covering 3 excellent benefits of article marketing in this article. The single most significant advantage of article marketing is that you get people visiting your website who have read your articles out of interest in the topic you are covering. You have an audience who have read your article and decided to click to your site to find out what you have to offer. Article marketing, then, can help you sell your products by getting you visitors with a real interest in what you offer. For example, let’s say you’re promoting a “dog training” ebook through your articles. When someone who wants to find out about dog training sees your article and finds it useful, he or she will visit your site and might buy your ebook as well. This way, you make sales and your visitors get the information they need. Another benefit of article marketing is that you can use it to build your own targeted email list. Every Internet marketer knows the value of having your own mailing list, and since the traffic you get from articles is highly targeted, you can actually create a strong list of subscribers. The advantage here is that it’s totally up to you how you fast you want to build your list. You can get your optin offer in front of more eyes by publishing more articles. Just think about the time when your list is large enough, and you’re making enough money from it, so you don’t have to worry about getting so many articles out there. You may also want to put together an ebook, using some of your articles, which can be used as a free gift to promote your website or newsletter. You can have a report or ebook spreading around the web, and more and more people will be reading it. Make it easy for your visitors and subscribers to download your ebook, which should have links to your website on every page. Your report can circulate, as people who download it also give it away, and to facilitate this, include re-distribution rights. Use your best content when you put together your reports, and design them attractively. You may end up with one of those ebooks that goes viral, if people keep spreading it and talking about it. You would never have to worry about getting visitors if this happens. Article marketing has stood the test of time over and over, and it’s not going anywhere. It can give you consistent results if you take the time out to put it into action. Always experiment and test in your marketing and advertising, and that includes this method, as well. Social networking has taken the world by storm. This is the first time we’ve ever seen an online communication implement that’s lasted this long and had so many followers. Not even the chat rooms that everyone used to hang out in stayed popular this long. This is probably due to the fact that social marketing networks are evolving at the same rate as the internet. This means that there are always new ways that you can use social networking to help you make money and grow your business. However, you can’t just attack social networking like you handle methods like direct seo marketing and you must learn the rules. Keep reading to learn how best to make money through social networking techniques. You do not have to have a profile on every social network in existence. Lots of marketers get over zealous and join every single social network they come across. This thinking is moronic. Why, you might ask? Because it would be impossible to create lots of profiles only to have to go back and regularly update them. It’s always better to have a few profiles that you update regularly, than have a bunch that remain dead due to inactivity. A stagnant profile shows you do not care. If you’re without a profile, it’s not hard to make one so get started as soon as you can. Update your profiles regularly. Make sure you communicate with those in your network regularly as well. When you update your profiles, you can let your contacts know what’s going on with your business, such as if you’re promoting something new. Successful internet marketers use most of their communications to convey free information their contacts will find useful. When you update regularly with this kind of information, the people in your contact list will begin seeing you as an authority over your niche. It shows that you really care and want to teach them about your subject. This will also entertain them. It shows that you are willing to put time into building your relationships. Don’t just invite everyone you come across to join your emailing list on each profile you’ve created. This can get you looked at as a person who spams both on the network and via email. It’s true that your email contact list is an ideal place to find people to buy your products, especially when they’ve purchased your products in the past. And if there are people on your contact list that have already joined the network, that’s ok. But never just take your email and send it to all the people out there. This will cause people to see you in a negative light. Also, if you already possess their email address, you already have a way to contact them whenever you want to market new products. If you find that your contacts are already apart of the networks you join, they may feel that you’re sending way too many messages to them and this could cause them to never buy from you again. Social networking offers anyone a great opportunity to market any business effectively. By using the right approach, you could find it becomes one of the most profitable ways to market your products. If you’re keen to make money online, you can’t beat having access to a highly targeted network of people who are happy to respond to your marketing offers. When done the right way, social networking can be the key to unlock the future of your internet marketing career.